Here you will find detailed documentation for all of the functions in Maintain My RV. You can print these guides for easy reference or access them online here anytime. Using the Maintenance and Fuel Log. Learn how to make new entries into your maintenance and fuel log, as well as making edits and searches. Learn what the various options are in your account and vehicle settings that will best fit how you want to use the system. 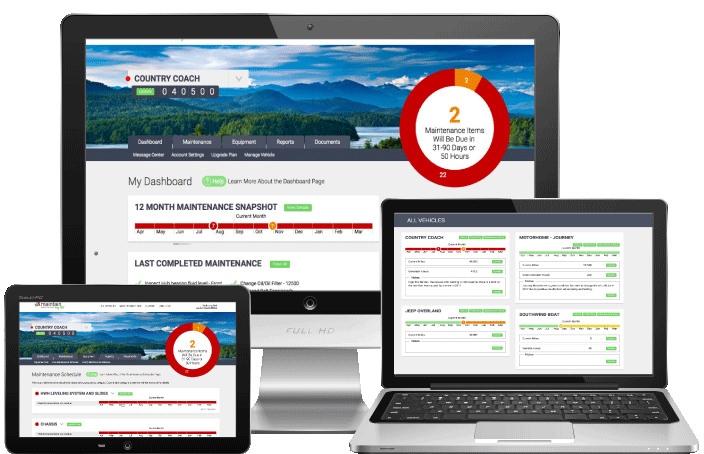 Learn how to work with your RV maintenance reports, viewing and print just what you need. Learn how to work with documents, including uploading, viewing previously uploaded documents and printing them. This feature allows you to select specific items from your “past due” or “coming due” list and create a service ticket with only those items on it.